Description: With Paper Accents Card & Envelopes Sets you are on your way to creating unique one-of-a-kind cards and invitations for family and friends. Decorate with stickers, rubber stamps, rub-ons, brads, eyelets, buttons, and punches. They are acid-free, lignin-free, buffered and archival quality. Includes 5 cards and 5 envelopes. 6 x 6 inch. #128 White. 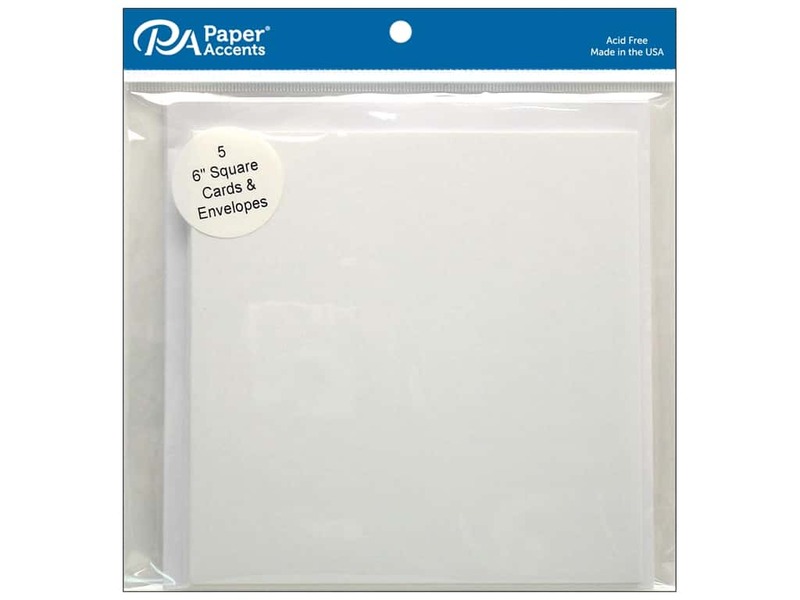 Paper Accents Card&Env 6x6 White 5pc 5.00 out of 5 based on 4 ratings. 4 user reviews.